It may be confused with Alzheimer's disease, but Lewy body dementia is different. 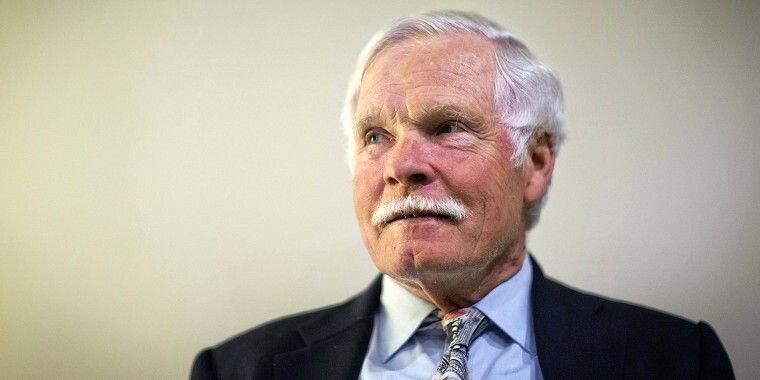 The famed business tycoon and cable news pioneer revealed his state of health over the weekend, noting he has been feeling exhausted and forgetful. While Alzheimer’s disease is the most common form of degenerative dementia, Lewy body dementia is the second-most common form, according to the Lewy Body Dementia Association. LBD is often misdiagnosed as Alzheimer’s, but the two conditions have different causes and symptoms, Dr. James E. Galvin, a professor of neurology at NYU Langone Medical Center, told NBC News. Lewy body dementia received much attention after Robin Williams' widow said the comedian had the condition when he took his own life in 2014. “One of the doctors said, 'Robin was very aware that he was losing his mind and there was nothing he could do about it,’” Susan Schneider Williams told People. The disease, which caused the actor to experience anxiety attacks and motor-skill problems, wasn’t diagnosed until the actor’s autopsy, the magazine reported. Famed DJ Casey Kasem also died in 2014 after being diagnosed with Lewy body dementia. Lewy bodies, named after Dr. Friedrich Lewy who first discovered them in 1912, are deposits of abnormal proteins inside brain cells, according to the Lewy Body Society. They affect chemicals in the brain, which can lead to problems with thinking, movement, behavior, and mood, the National Institute on Aging noted. It’s not well understood why these changes happen, but age is considered the greatest risk factor, with most people diagnosed over 50. An LBD patient can either have Parkinson’s disease dementia or dementia with Lewy bodies — the two are closely related. The disease affects some 1.4 million people in the U.S., the Lewy Body Dementia Association estimated, but diagnosing it can be challenging. Only an autopsy can provide a conclusive diagnosis, but doctors can recognize the symptoms with the help of physical and neurological examinations, mental status tests and brain imaging. There is no cure, but medications developed to treat cognitive problems produced by Alzheimer’s disease are also given to LBD patients. A patient goes on to live for an average of five to eight years after a diagnosis, the National Institute on Aging estimated.